Lionel has over 25 years experience spanning across IBM, Tandem Computers and Oracle. 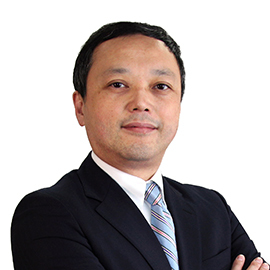 He has held various senior positions in sales consulting, account management, business development and customer services in Asia Pacific and especially in the Greater China region. He is a practitioner in enterprise and solution architecture for customers in Asia Pacific. As a result, he became the trusted advisor for many leading companies in Telecommunications, Financial Services and Travel and Transportation industries in the region. In 2015, Lionel joined CargoSmart Limited to oversee sales, marketing and product strategy for the HK based next generation shipping & logistics solution provider. In the past 2 years, he is leading the transformation of CargoSmart to become a significant global platform for ocean shipping and logistics. Lionel held a Master of Business Administration degree from York University and Bachelor of Science degree from University of Toronto.